If you are serious about your weight loss and/or weight maintenance program, you can now monitor and track its progress like never before, thanks to digital wireless personal scales. These units, which are presently revolutionizing the scales industry, use wireless connections to upload data, such as your weight, body mass index (BMI), and body fat readings, either to your personal internet based health dashboard (which you can access for tracking and monitoring purposes using a web browser from any device that has internet access), or to a smartphone or tablet (in which case the data can also be maintained in the device's internal memory). Free apps are provided to view and track different aspects of your weight loss and maintenance program. These new wireless scales keep you motivated by providing a full picture of your weight trends, allowing you to observe the evolution of your form in a simple and intuitive environment. This review will compare Withings Body, Withings Body Cardio, Fitbit Aria, and iHealth HS6 Core. Other brands do exist, but at the time of this writing, the Withings, Fitbit and iHealth wireless scales were the most popular among Amazon customers. The following table provides a point-by-point feature comparison for the four scales. Please read the notes that follow for a better understanding of the features. Body Mass Index or BMI is defined as the individual’s body weight divided by the square of his or her height. Body Fat is the total amount of fat in the body expressed as a percentage of the total weight. Lean Mass is everything in your body besides body fat. Bone Mass is the level of bone mineral content found in the body. Muscle Mass is the total weight of muscle in the body. Body Water is the total amount of fluid in the body expressed as a percentage of the total weight. Pulse Wave Velocity is a medically-recognized heart health metric that tracks the rate of blood flow, which can be an indicator of arterial stiffness, high blood pressure, and general cardiovascular health. Pulse Wave Velocity readings are impacted by blood pressure, cholesterol, and lifestyle factors, all of which have a significant effect on cardiovascular health. Each weighing will provide a pulse wave velocity reading and assessment within the Withings Health Mate App. Taking age into account, the App will inform as to whether it is optimal or not, and provide tips to improve it. Visceral Fat is the abdominal fat that includes organ fat (fat in the stomach, intestines, liver, etc.). ​Daily Calorie Intake (DCI) is an estimate of how many calories you can consume within the next 24 hours to maintain your current weight. It is displayed by the App and, for this to work, you will need to have MyFitnessPal in your smartphone. Withings Body, Withings Body Cardio and Fitbit Aria upload automatically your readings into their associated websites under your registered identification and profile. ​With iHealth HS6 Core, once a personal profile is set up in the iHealth App, all measurement data is uploaded automatically to the iHealth Cloud. Web/Cloud based data can be accessed anytime and from anywhere using a Web browser for tracking and evaluation. Note that while Wi-Fi is supported by the Withings scales, Wi-Fi connectivity is not required to use these scales as long as you have a smartphone that supports Bluetooth and has wireless access to internet. These scales are also able to use Bluetooth to upload all measurement data to the smartphone. With Fitbit Aria and iHealth HS6 Core, Wi-Fi connectivity is required to upload your measurement data to the cloud. But, iPhone or Android smartphone apps can be used to access this data as long as your smartphone has Internet access. Note that all four scales are compatible both with iOS and Android smartphones. iHealth HS6 Core uses the Bluetooth on your mobile device to configure the scale, but once configured, it uses only WiFi to communicate. 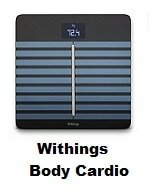 Only the Withings Body and Withings Body Cardio scales come with Position Control technology which helps correctly position your body on the scale for precision-accuracy weighing. Visual feedback is provided on the scale's screen so that your position is comparable and optimally balanced at each weighing. All four scales provide free iOS and Android Apps to keep a history of your data, visualize weight trends, set realistic goals, and easily monitor your progress; so they can all be used with either iOS or Android smartphones. With the iHealth HS6 Core scale, you can set up multiple accounts using the iHealth MyVitals App, then choose the desired user before each measurement. The scale can accommodate up to 10 users and store up to 200 measurements for each user. When each user’s memory is full, any new measurements will overwrite the oldest ones. Note that if your iOS or Android device is temporarily unavailable, you can still take the measurements. The scale determines who the user is by matching the new weight with the weight previously recorded in the scale. With this feature offered on the Withings scales, if you also have some activity tracker that the scale can tap into, the scale screen can also display the previous day's “steps”, to emphasize just how much movement impacts the numbers you see on the scale. iHealth HS6 Core can also display the room temperature and humidity level. Privacy controls are set when user profiles are created using the Apps provided by the scales. So which of the four scales is best to buy? All four scales considered in this article are great wireless products compatible both with iOS and Android smartphones and will provide accurate weight and BMI readings. 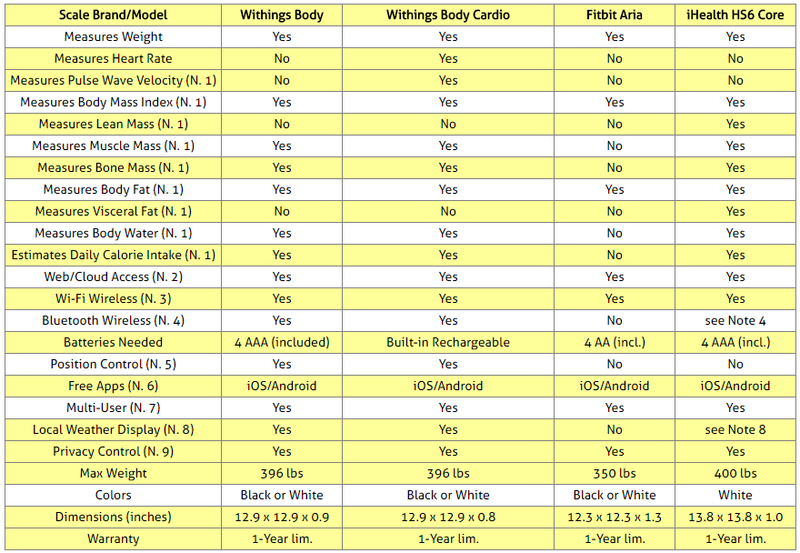 But Note that Withings Body Cardio and iHealth HS6 Core provide more types of measurements than Withings Body and Fitbit Aria (see feature comparison table above for details). Now, when it comes to choosing between Withings Body Cardio and iHealth HS6 Core, note first that both scales provide weight, BMI and body fat readings. But Withings Body Cardio also provides heart rate and pule rate velocity measurements and local weather info, both of which are not available on iHealth HS6 Core. 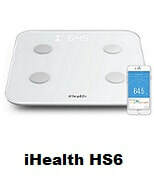 On the other hand, iHealth HS6 Core is the only wireless scale that measures lean mass and visceral fat. 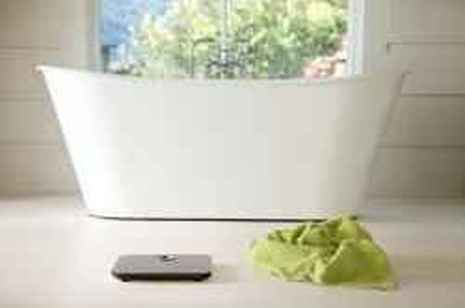 As can be seen from the above comparison table, Withings Body Cardio comes with some additional advantages, such as built-in position control for obtaining more accurate results, and automatic software upgrades to the scale when there are feature changes. And though up to 10 people can use the iHealth HS6 Core scale while only 8 people can use the Withings Body Cardio scale, we think that support for 8 people is more than enough for the average family. Finally, it's worth noting that, at the time of this writing, the Withings scales had received the best average ratings from Amazon customers (4 stars each, out of 5 stars), while Fitbit Aria and iHealth Core had each received 3.5 stars. Compare Fitbit and Withings Activity Trackers: ZIP, FLEX, ONE or PULSE O2?